Multi-Swing Method quick facts, helping to stay back/stop-lunging. When it happens: Stride, foot down, interpreting the pitch. 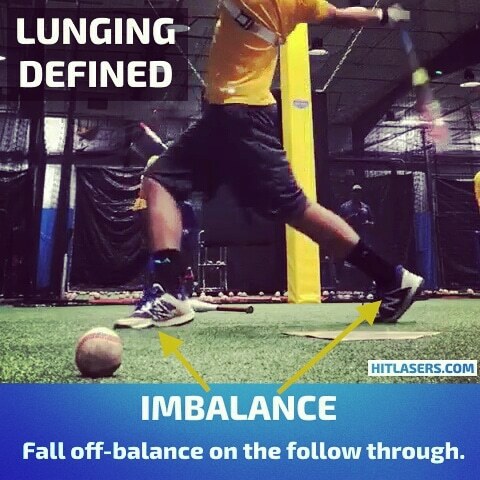 What is it: In summary, imbalance, starting/loading on the back foot, contact on the front foot, regardless, of the pitch location, speed, and contact zone. Landing, and bending too much with the front knee; “knee over toes,” and failing to lock-up, hit with a straight/strong front leg at contact. Generally, causing you to fall off-balance on the follow through. How it happens: Improper training technique, encouraging a long stride, distorted balance, lacking confidence in bat speed, compensating by rushing the swing. Strategy: Retrain the brain and body, “brain and muscle communication systems;” by practicing a short and balanced stride. 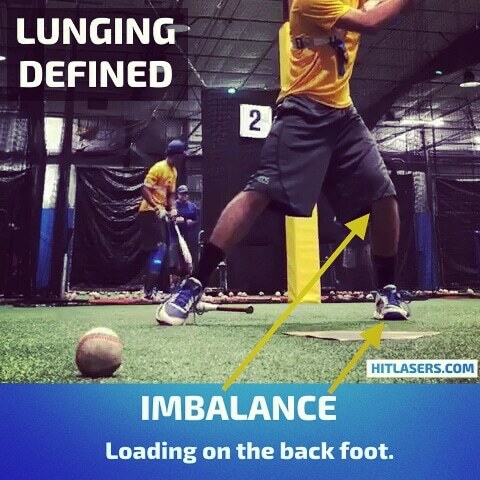 Build confidence to hit an inside fastball, allowing the subconscious mind to tell your body to slow your stride. 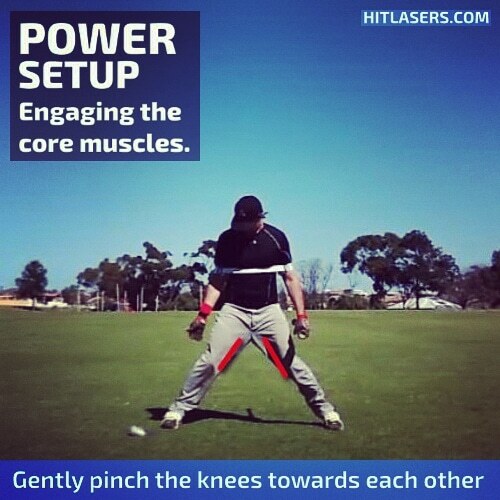 Engage your core muscles in the batting stance. Opposite field hitting: 2-3 weeks hitting the ball up the middle and to the opposite field, every swing, any drill. Tracking the ball exercises: Standing in the bullpen, as a pitcher warms up. 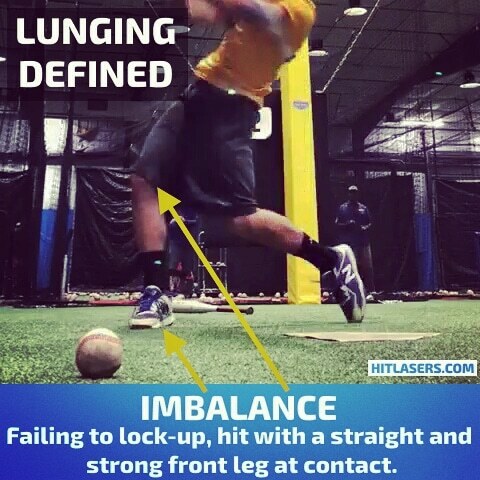 Balance ball exercises: Strengthening core muscles, training a compact batting stance, and stride. Batting stance routine: Step 1) Stride in a straight line. Step 2) Spread out. Step 3) Gently pinch your knees into each other. Up-Middle-Inside front toss: Focus on allowing the ball to travel, developing your hitting approach; up the middle, even on the inside pitch, growing confidence; training hands inside ball mechanics. 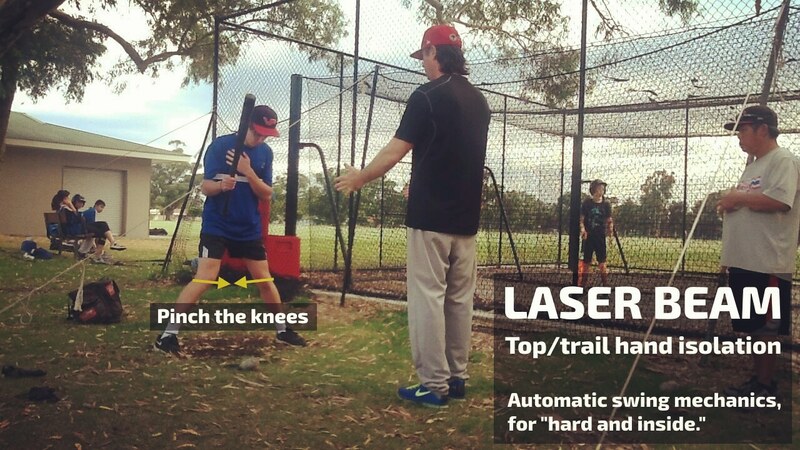 Hit Lasers hitlasers.com/hitting-drills/hitting-program/ 90% of mistakes go away using our Laser Power Swing Trainer and these 4 words, "track the ball longer!" 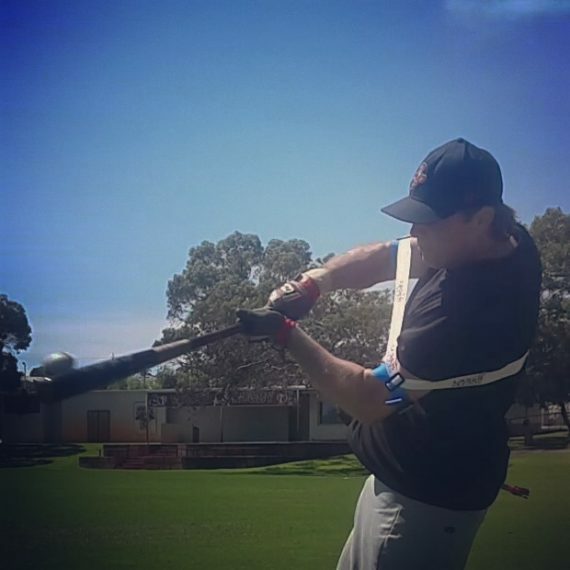 You don't have to be a super-coach to see outstanding results, our swing trainer takes care of the hard parts to hitting, you coach the basics. (Laser Blast. Heavy Bat Front Toss Drill) Making contact closer to your body, preparing you for success against the “flame throwing” pitchers, and clutch two-strike situations. Practice top and bottom hand swing drills to improve staying back on game day. 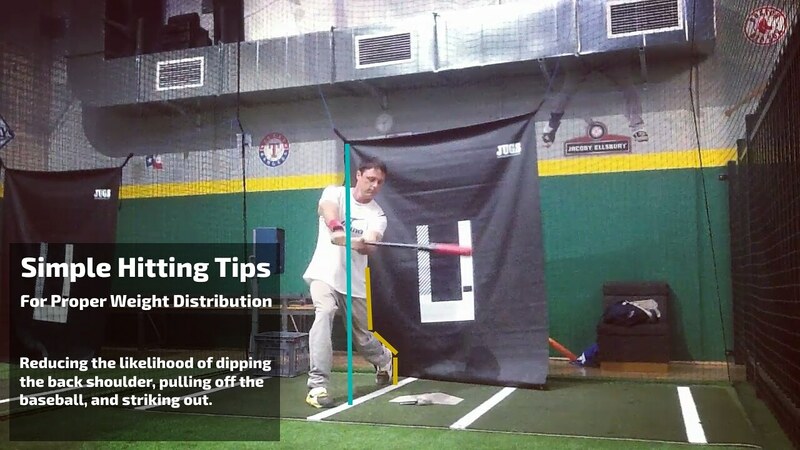 A simple hitting tip to help you to stay back, aim to hit the ball up the middle, and to the opposite field; pulling the ball too much during batting practice triggers mistakes, for example, lunging. Why is the correct hitting approach so important for staying back? A slow, soft, short, and closed batting stride. Prevents your head from flying off the baseball. Keeps your front shoulder closed. Helps to stay through the baseball. Builds confidence to let the baseball travel. Have the confidence in your bat speed, allowing the baseball travel closer to your body before contact. Mentally, and physically commit to hitting the baseball to up the middle, and opposite field, aiding to reduce the speed, and length of your batting stride. 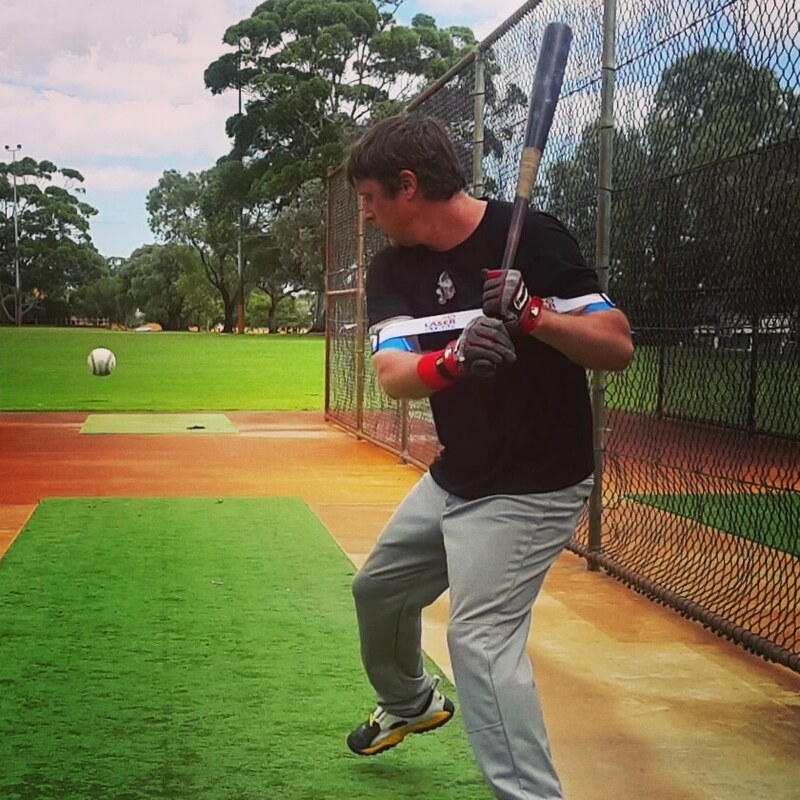 Practice hitting all pitch locations, not just the easy ones. Lacking the confidence to hit an inside fastball triggers jumping out, failing to stay back. Relax in the batter’s box, nervousness inhibits your ability to stay back when hitting. Avoid overswinging, thoughts of hitting a home run contribute to your inability to stay back on the ball. 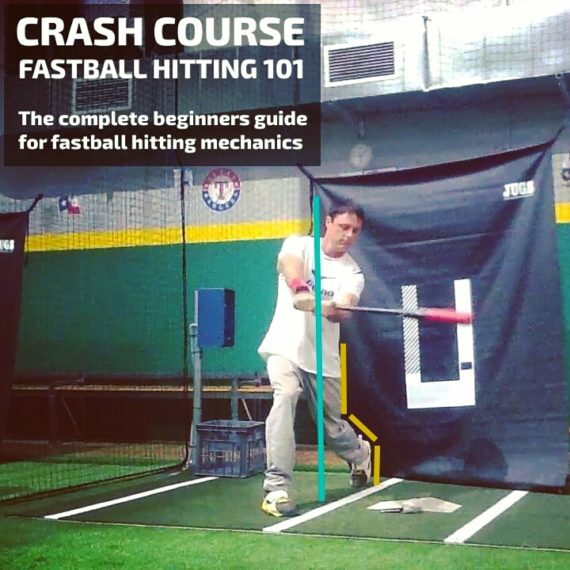 Video: Complete beginners guide for fastball hitting. 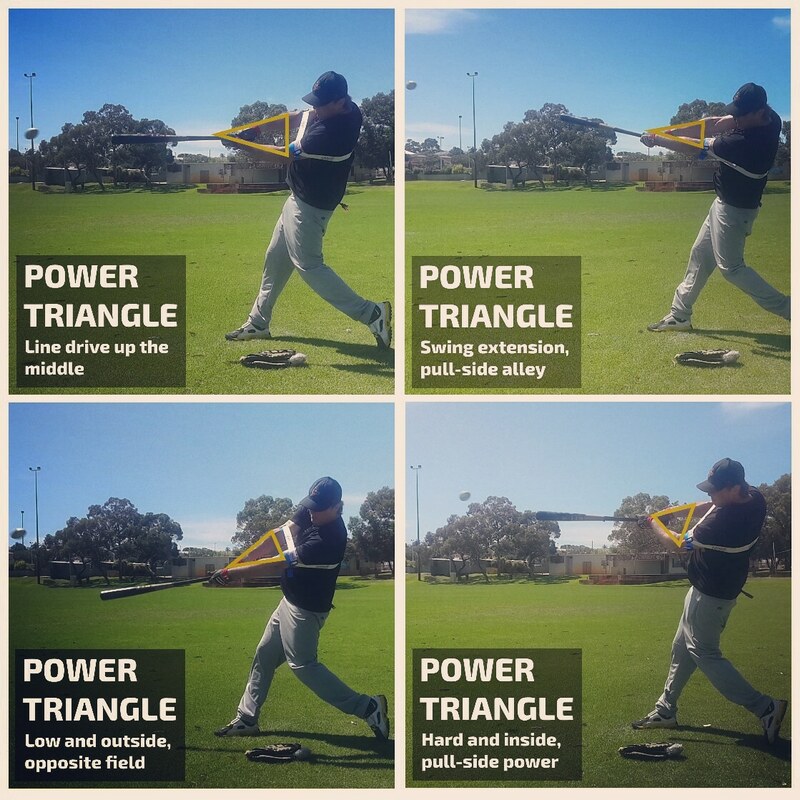 Engaging the core muscles in your batting stance helps you to stay back with your baseball swing. Jumping out at the baseball will increase velocity on a fastball by up to 5 miles per hour – now that’s a BATTING AVERAGE KILLER! When you jump out and don’t stay back your head and eyes are moving, affecting your ability to track the baseball, thus creating the perception of increased velocity. On the other hand, when you relax, stay back and focus on seeing the baseball – you can potentially decrease the appearance of a fastball by 5 miles per hour. 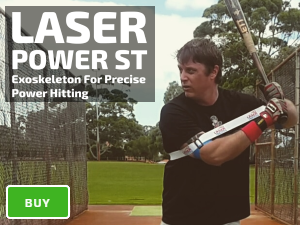 90% of mistakes go away using our Laser Power Swing Trainer and these four words, “track the ball longer!” You don’t have to be a super-coach to see outstanding results, our swing trainer takes care of the hard parts to hitting, you coach the basics. Failing to stay back and jumping out at the baseball disrupts your ability to detect a late-breaking pitch, increasing your strikeout tally; due to excessive movement bumping your head, and blurring your vision. To improve staying back focus on seeing the ball, “reading and reacting” to late ball movement; critical for success with a two-strike batting count. In this case, the pitcher is aiming to throw an offspeed pitch, down and out of the strike zone; with the objective of getting you to chase a bad pitch.